A visual tour through our beautiful guest bedrooms and bathrooms will attest to the fact that elegance, comfort and attention to detail were the criteria for our guests. 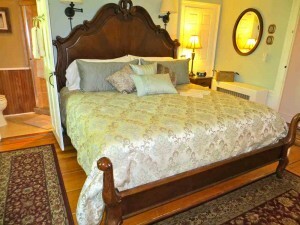 Period furnishings and family heirlooms collected over time contribute to the charm of our 1810 farmhouse. 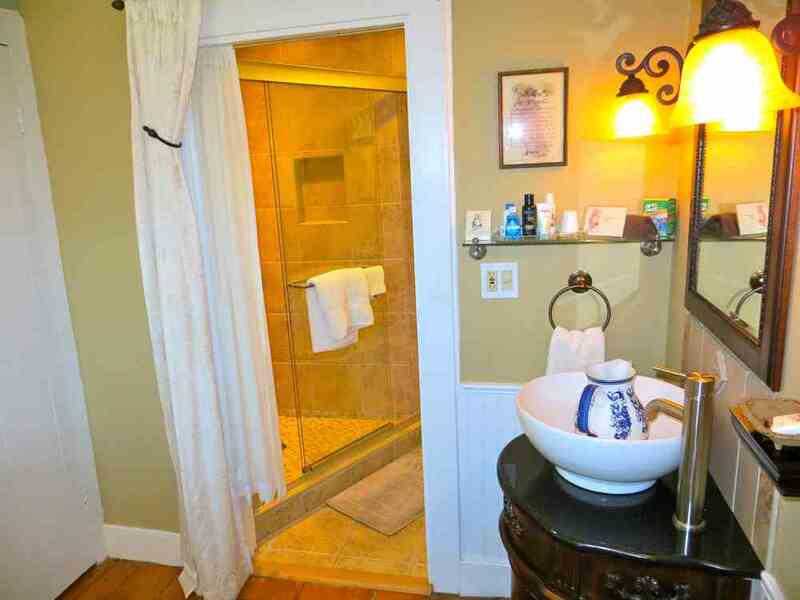 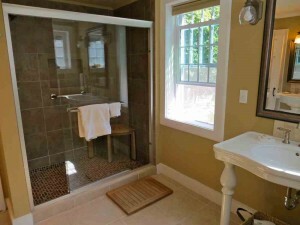 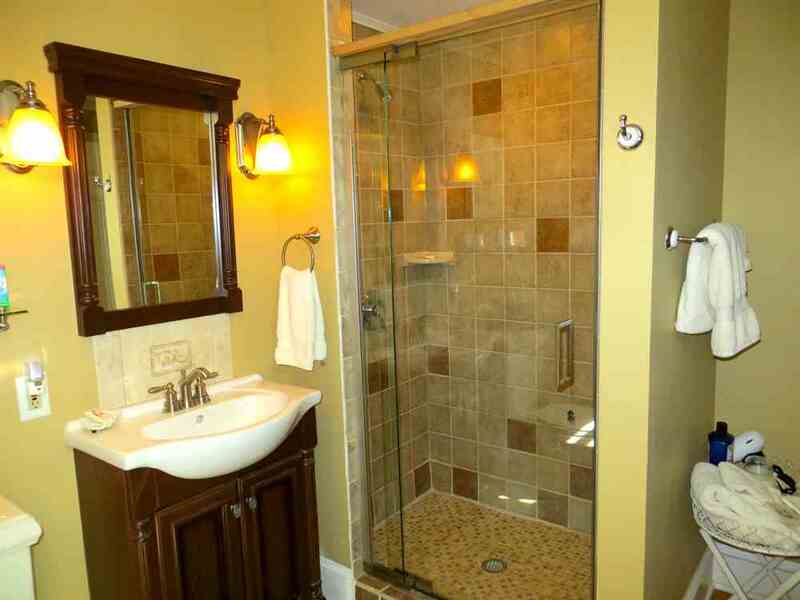 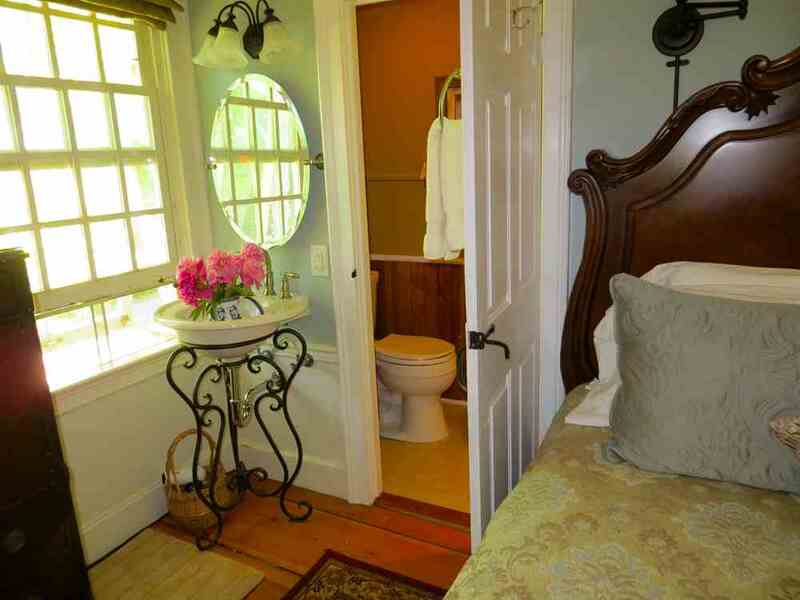 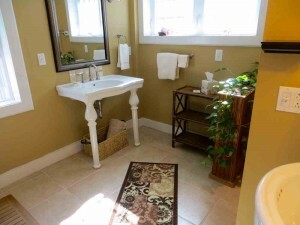 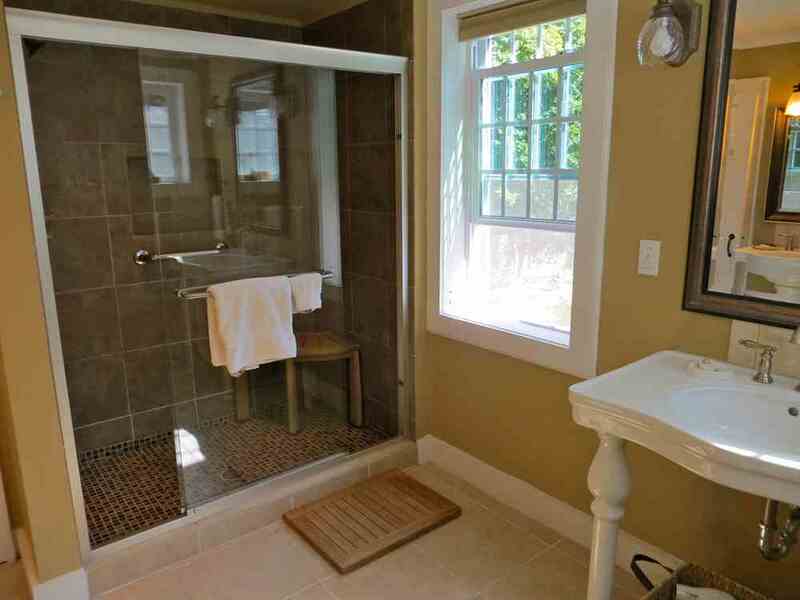 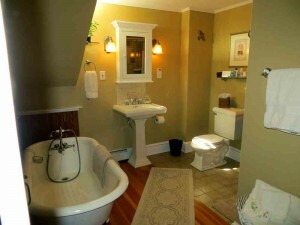 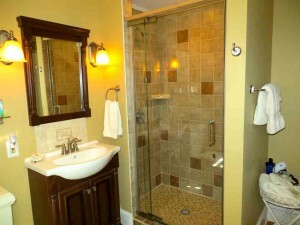 All guest bathrooms were tastefully updated and remodeled. 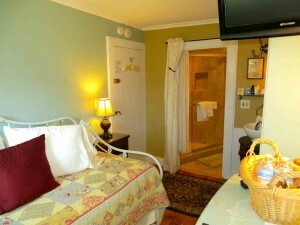 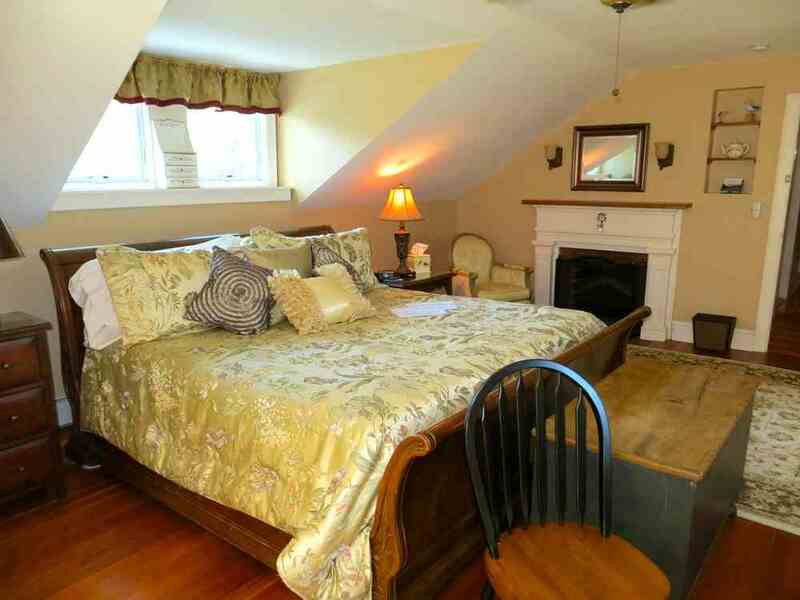 All rooms at Mary’s Meadow are located on the second floor. You can click on any image to enlarge. Sitting area with fireplace. 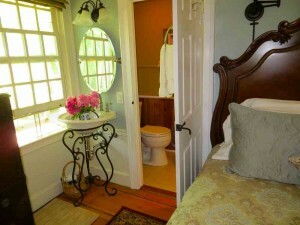 Upon request, your breakfast can be served to you here. 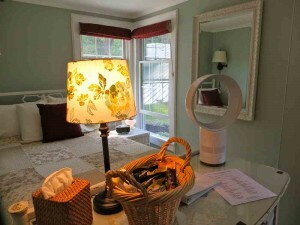 All rooms are supplied with many amenities and seasonal comforts: window air-conditioners in the summer; space heaters in the fall/winter in addition to central heating. 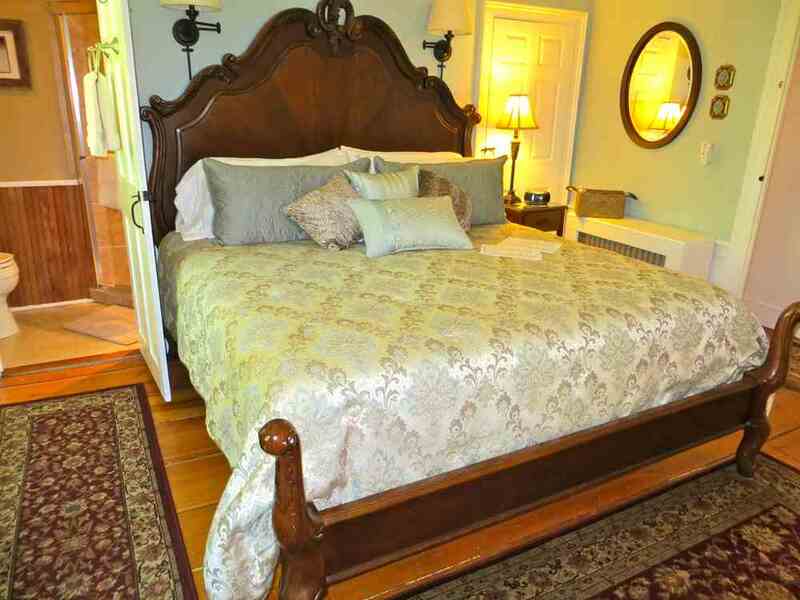 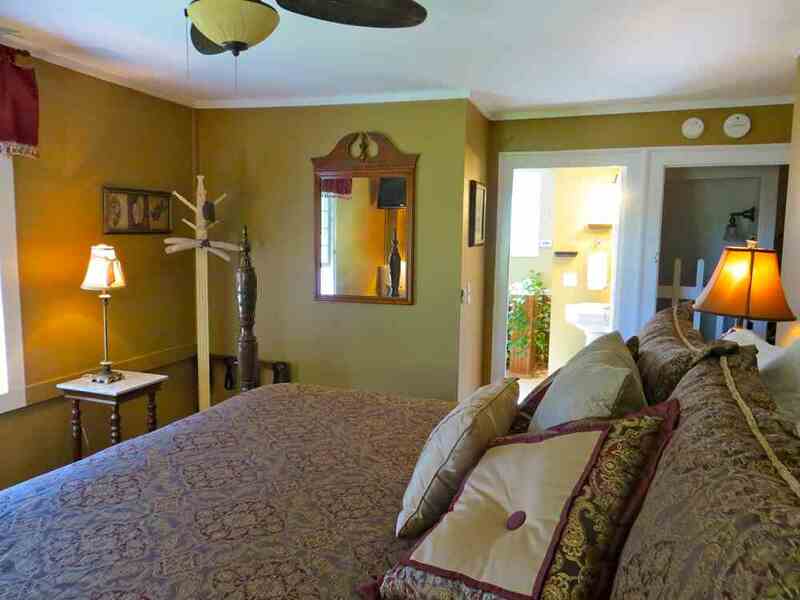 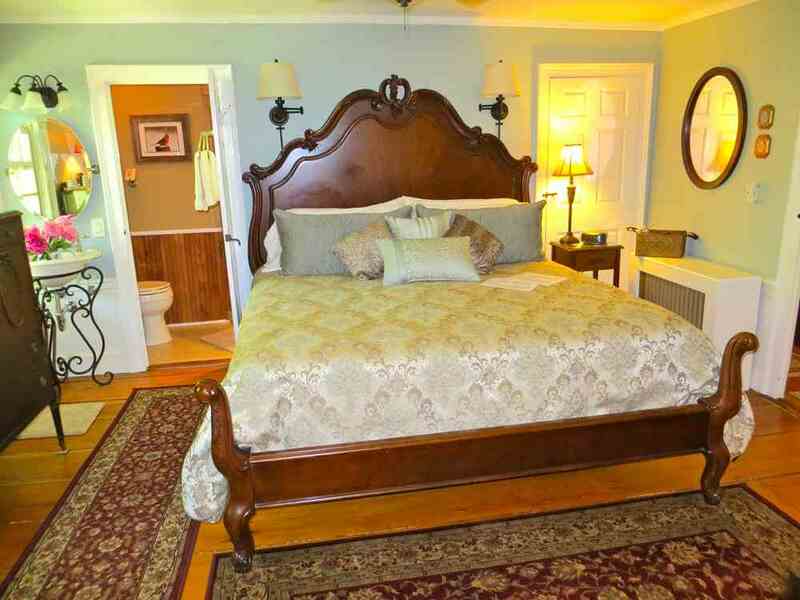 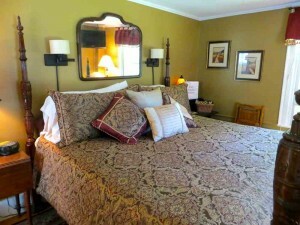 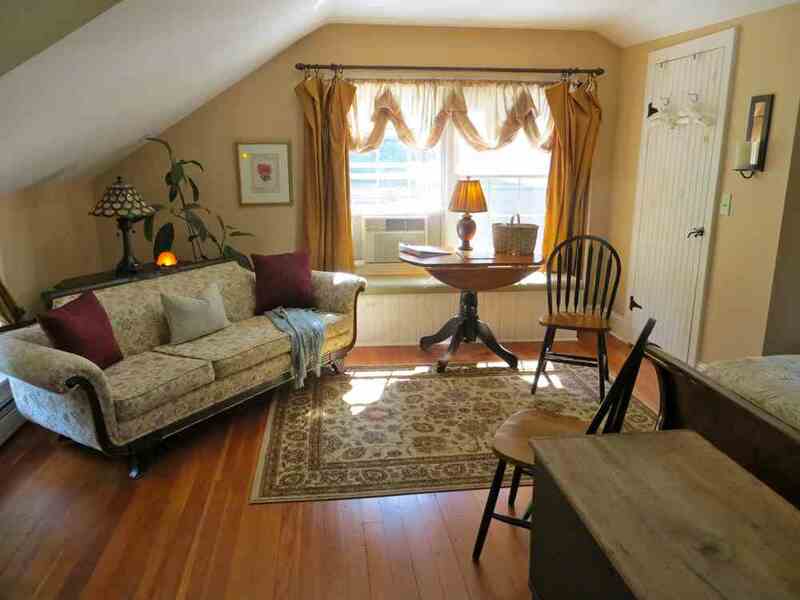 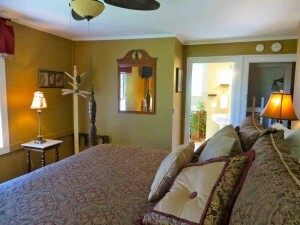 The Burr Room, The Taylor Room and Mary’s Meadow Suite have overhead ceiling fans for year-round comfort.